The Series 75 Fleetwood was Cadillac’s limited-production limousine and eight-passenger sedan, and featured an extended wheelbase for plenty of back-seat room and a “high headroom” taller passenger compartment. 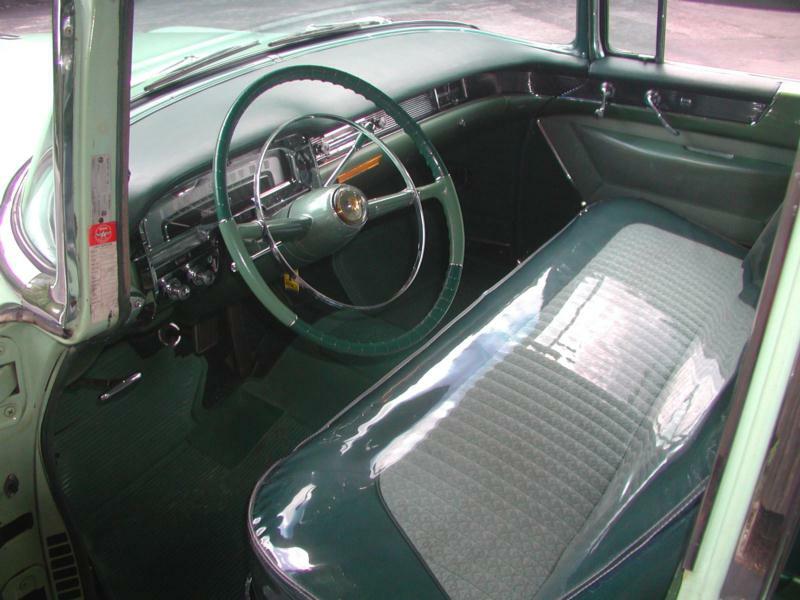 There was an optional interior partition with a power glass window that defined “Imperial Sedan” limousine models. 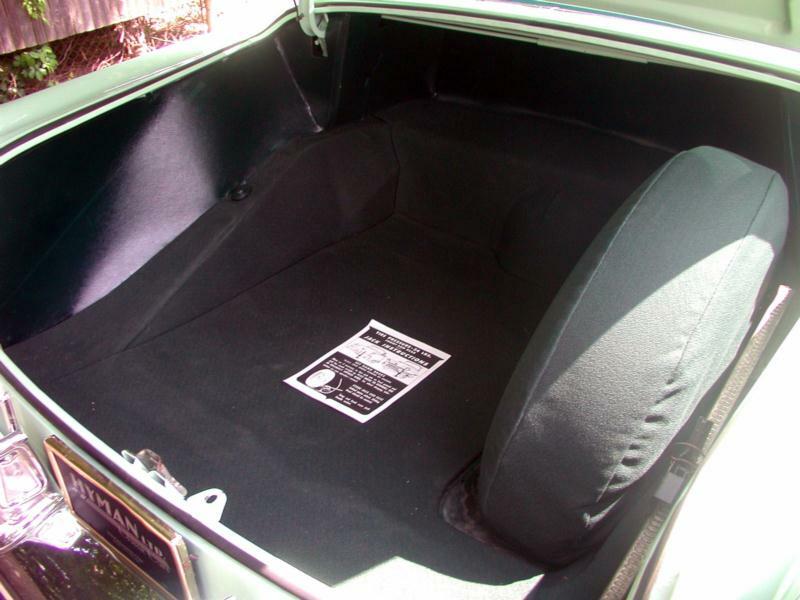 The car’s prodigious passenger capacity came from two rear-facing jumpseats in the back seat footwell. The Series 75 Fleetwood was also available as a commercial chassis for use as a hearse or ambulance. 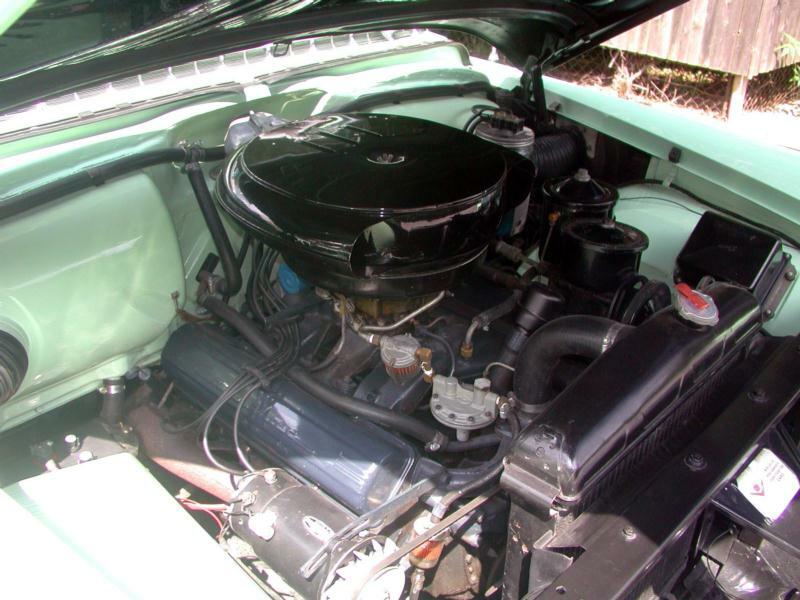 Engine power in the Series 75 was a 331-cid V-8 that delivered 230 horsepower. With a curb weight of 5,031 pounds and a wheelbase of 149.1 inches, the Fleetwood was far from a performance model. The commercial chassis featured an impressive 158-inch wheelbase. The standard transmission was a three-speed manual, but few of these were ever made. The optional four-speed Hydramatic automatic transmission was generally preferred. Options were few and generally selected for sedans and limos, including air conditioner, heater, autronic eye automatic headlight dimmer, power brakes, and a radio, among other standard GM options. 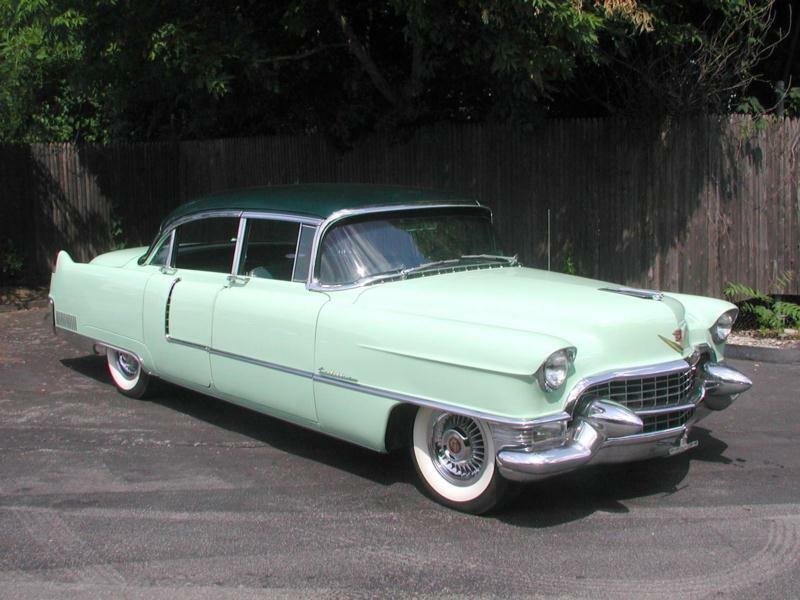 For 1954, 889 sedans, 611 imperial sedans (limousines), and 1,611 commercial chassis were produced. 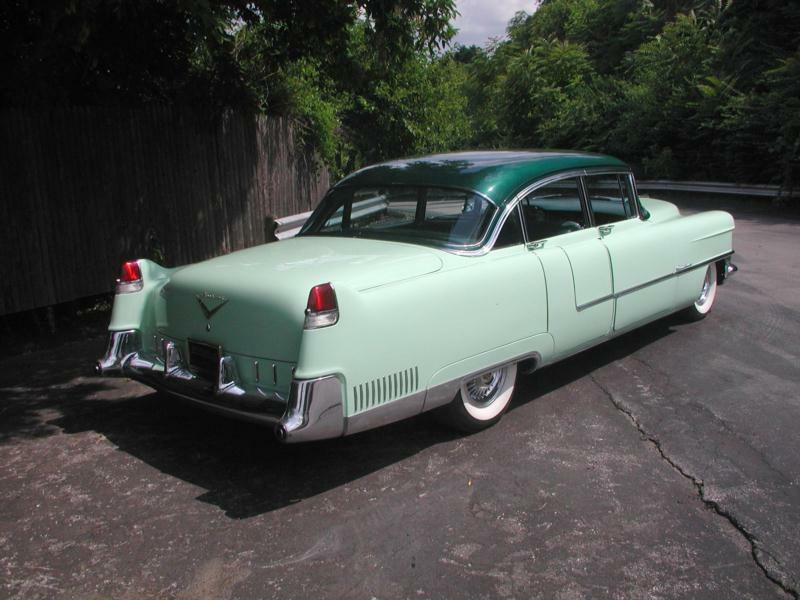 For the 1955 model year, an increase in compression boosted engine output to 250 horsepower, and the brand-new twin-carburetor Eldorado engine with 270 horsepower was available as an option. Production of the Series 75 included 1,075 sedans, 841 limousines, and 1,975 commercial chassis in 1955. Engine displacement increased to 365-cid in 1956 -- the last year of this generation of Series 75 -- and output was raised to 285. The Eldorado engine was again available at 305 horsepower. An improved version of the four-speed Hydramatic transmission debuted to great praise over its predecessor. 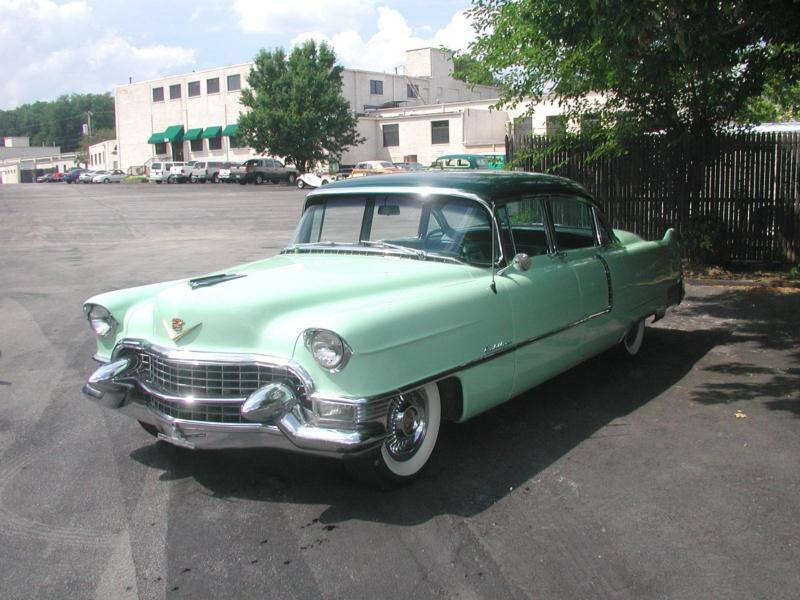 Total production in 1956 was 1,095 sedans, 955 limousines, and 2,025 commercial chassis. Outwardly, only minor trim changes distinguish any of the model years of this generation of the Series 75 Fleetwood. Collectors will likely prefer the limousine models from 1956 with the higher-horsepower engines and updated transmission, but as with all cars from this era, overall condition is paramount. While commercial chassis production was greater than passenger cars, surviving examples of these cars may be the rarest and most desirable of all.